Bus Fleet Tracking Systems are in High Demand. Why are bus GPS tracking devices improving bus transportation? The bus industry revolves around serving customers but unfortunately, riders complain of similar issues all around the world. These range from late buses, aggressive drivers, and accidents. 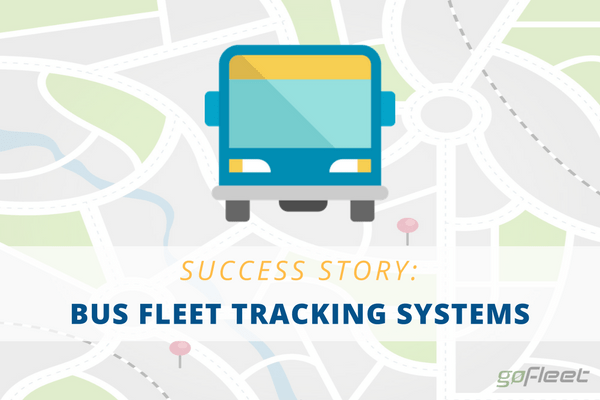 Buses with GPS tracking devices fare better than buses without; let’s take a look at a success story. Singapore is one of the world’s most advanced countries. One of its initiatives is called “Smart Nation“. Smart Nation’s mission is to empower people through technology and create a better society. Improving transit is part of the Smart Nation initiative. The Singaporean transit system includes a fleet of trains and buses. Buses are the popular choice because they cover all of Singapore, whereas trains only serve major centers. Despite its extensive coverage, Singaporeans “have a love-hate relationship” with their buses. Many riders complain that buses take over half an hour to arrive instead of the scheduled 10 to 15 minutes. Other riders complain of uncomfortable rides where buses are overcrowded and drivers are aggressive. Singapore’s buses, however, improved in the following categories after installing bus GPS tracking devices. Bus fleet tracking systems provide data including real-time location, traffic, and weather. All of these data pieces create happier customers. With the system, buses are now able to accurately report real-time location. This gives bus riders reliable information on bus arrival times and bus crowding. Customers found this info to be useful when planning their transit around Singapore. 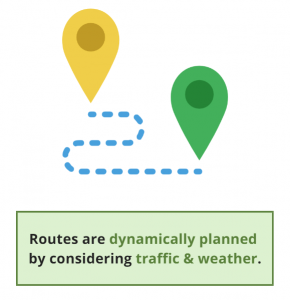 Buses are also able to use this data to take dynamic routes. By relaying data such as congested areas and weather alerts, buses are given the smartest route to take, reducing wait time and customer complaints. Singapore improved ride experience by collecting driver data from their bus fleet tracking system. Driving habits are assessed and reports are created to cut down on bad driving habits. At GoAhead, one of Singapore’s bus operators, they have a policy of rewarding who they call “green drivers”. Green drivers are drivers who score less than 2 events per hour. These events – ranging from speeding to harsh braking – are aligned with creating a smoother ride experience. 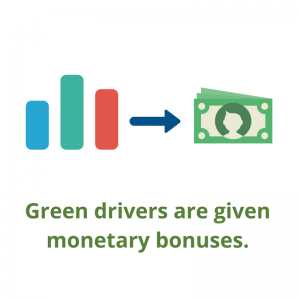 This program worked – green drivers were given monetary rewards. Since July 2016, driver incidents were reduced by 150,000 incidents per month! Singapore’s bus fleet tracking system aligns with the Smart Nation mission of improving society. Let’s look at the environmental impact. Buses started measuring fuel usage patterns, including idling. Idling is a key metric because it indicates when drivers are leaving their buses on while not being used. Bus drivers were coached to reduce idling, which led to reduced fuel wastage and greenhouse gas emissions. In addition to making Singapore greener, buses are also safer. Many buses installed Mobileye, an anti-collision device that alerts drivers of impending collisions with cyclists or pedestrians. This provides peace of mind, as Singapore is one of the world’s most populated areas. When implementing a successful bus fleet tracking system, Singapore’s buses are a great example of providing better customer service, smoother rides, making for an overall better society.